Where do People Usually Install Travertine? For centuries, travertine has been used as a building material. Highly sought-after by homeowners and builders alike, travertine should be included in any comprehensive natural stone inventory. This natural stone is so versatile, it can be a beautifully utilized for both exterior and interior projects. Travertine slabs can be shipped in their container directly to your location. A type of limestone, travertine has a honeycomb structure with small cavities that appear as holes in the surface once it’s been cut. Light brown, tan, and beige are this natural stones predominate colors, however, dark brown and silver slabs are also available. Travertine is also available in a number of finishes from polished to tumbled. 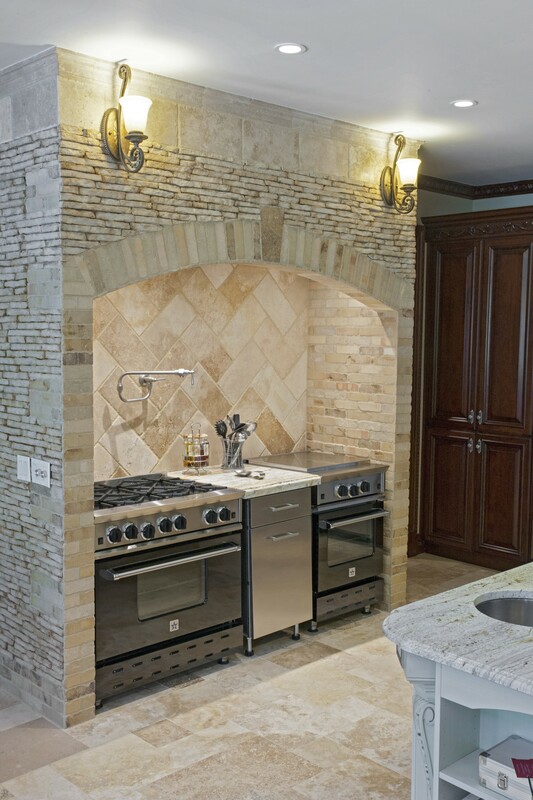 As a sedimentary stone, travertine performs better in certain applications that will showcase its features. Travertine bathtub surrounds and travertine vanity tops are especially popular with today’s homeowners. Because travertine can be highly reactive to acidic liquids such as orange juice, spills can result in staining, therefore travertine is typically not recommended for kitchen countertop applications. Travertine tiles are a fantastic choice for floors. Kitchens, bathrooms, hallways, and foyers can all act as a showcase for travertine tiles, which will complement a variety of design styles and are durable enough to withstand heavy foot traffic and spills when they’re properly cared for (sealed) and maintained. If your company supplies commercial builders, then you know that travertine-tiled walls continue to be a popular choice for hotel lobbies or convention centers that are meant to impress. Travertine walls are also growing in popularity among homeowners as well. The bathroom is the perfect showcase for travertine’s versatility. Beyond the floors, mosaic tiles on shower walls or as a backsplash around a tub are great examples of how travertine can be used. Customized tile patterns will make any shower stall stand out. 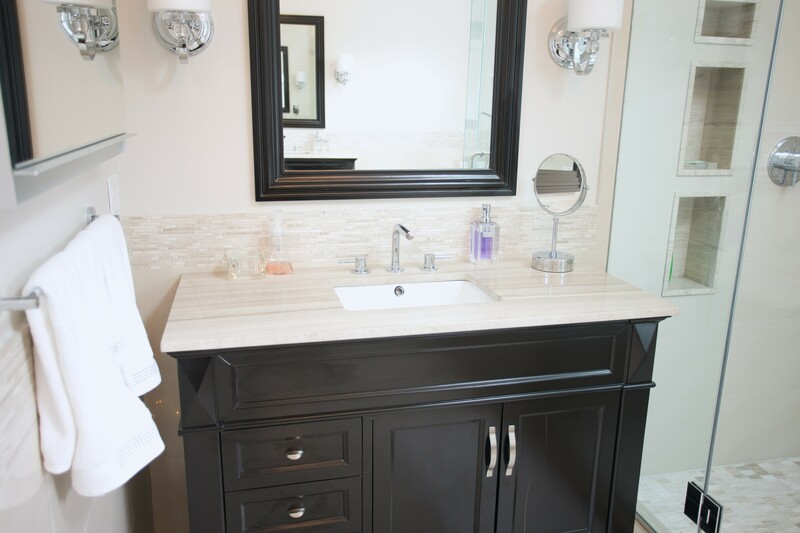 Vanity tops made using travertine are the definition of luxury. The luxury that travertine brings to a room is more than worth the extra care, especially in master baths, where luxury is expected and appreciated. One of the most dramatic uses of travertine is as a fireplace surround. 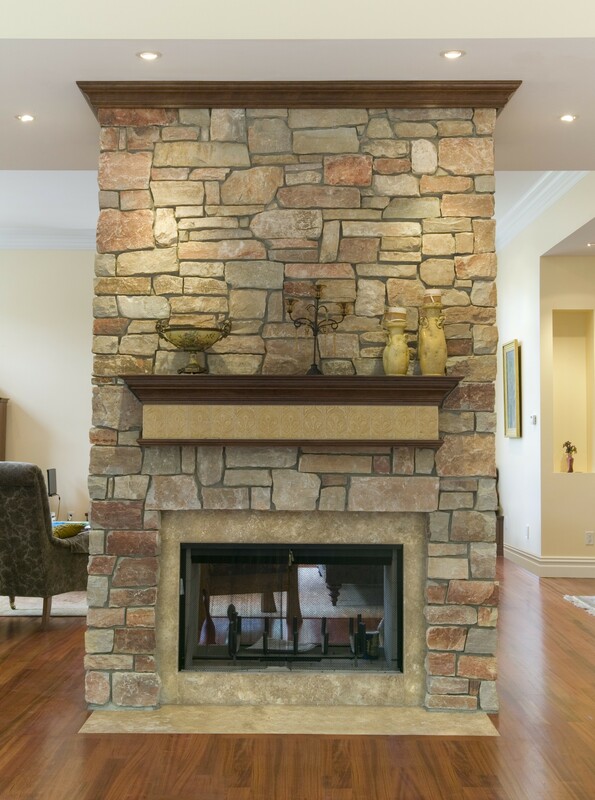 Travertine brings a modern look to any fireplace yet maintains a traditional warmth. To summarize, travertine applications are really only limited by a person’s imagination, and it can be recommended for a variety of indoor projects. Its increasing popularity has made travertine a necessary addition to any natural stone inventory. Contact SlabMarket today for information on travertine slabs and container delivery.